Posted Nov. 11, 2018, 9:52 a.m. Currently midway through a European tour, Nothington has released their final record, a split 7" with Swingin' Utters, released on Red Scare Industries. “Don’t be bummed this is our last song because, hey, we get to do a split with Swingin’ Utters! So stoked," guitarist/vocalist Chris Matulich says of the record. The band announced the record and, pending a few farewell shows in 2019, has no future plans, referring to their future as an "indefinite hiatus." 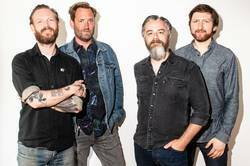 Posted July 21, 2018, 12:30 p.m.
After nearly two decades as a goup, Minus the Bear has announced their breakup, followed by a final US tour and a 4-song EP in October. This Autumn we head out on our final tour in support of our upcoming 4-song EP “Fair Enough” courtesy of Suicide Squeeze Records. The band will release Fair Enough on Oct. 19 on Suicide Squeeze on both CD and 12" vinyl. 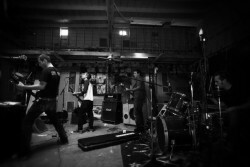 The band originally formed in 2001. Posted Feb. 26, 2018, 9:14 p.m.
Posted Sept. 28, 2016, 10:29 p.m.
Posted Dec. 16, 2015, 3:06 p.m.